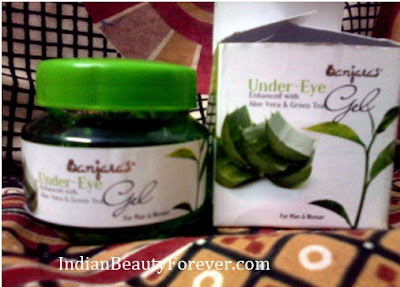 This is my second attempt of reviewing and today it is on Banjara’s under eye gel. Due to stress and hectic schedule, under eye dark circles have become quiet common these days, hence it is very important to take proper care of our eyes. INGREDIENTS:-Organic Lavandula, Veg Glycol, Extract of Green Tea, Extract of Aloe Vera, Spirulina Maxima, Aqua. WHAT THE PRODUCT SAYS:-This gel is a compound of Aloe Vera and Green Tea that helps in reducing the strain and tiredness affecting the eyes. It acts as a coolant for the eye, and helps in getting rid of under eye lump. It also works wonderfully in preventing fine lines. As an overall effect, it provides a protective barrier, making skin under the eyes less prone to wrinkles. 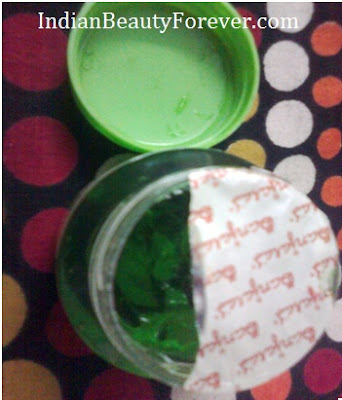 It is greenish in color and comes in a small plastic bottle, having a green cap. HOW TO USE :- Apply small dot of gel to outer corner of eye area & gently pat. Avoid with contact with the eyes. Gentle for all skin types. Use under makeup or alone. 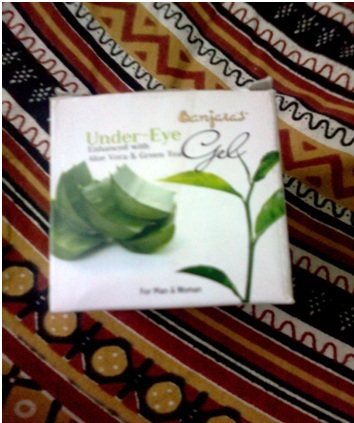 MY EXPERIENCE- Few months back I was searching for under eye creams and gels on a product website when suddenly I caught a glimpse of this Banjara’s under eye gel. I quickly ordered it and started using it. Initially I thought that my money is wasted but after using it for a month, I can see the good results. My dark circles are reduced to a great extent. This under eye gel is basically a composition of Aloe Vera and Green Tea, that gives a cooling sensation and reduces the under eye lumps. Try it and see the results. Reduces eye lumps and wrinkles. MY RATING:- 4 out of 5. MY TAKE:-I will repurchase it as I am happy with the product results. Now this seems to be a good product for everyone who has dark circles and I can actually see your dark circles lightening. My pleasure Dear, Sorry for being a bit late. ahhh i sister will love this! !